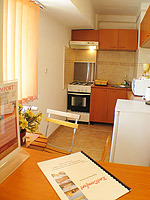 We manage over 50 quality appartments in Bucharest, there is an appartment for everyone here. 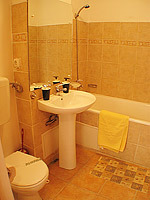 Try sorting the apartments by number of guests, price or our recommendations and find a great romanian accommodation. Beautifully furnished, this appartment in bucharest contains all the amenities you might need, offering accommodation for 2 people. The open plan living-room consists of two cozy armchairs, double bed with 2 night stands, dining table for 2 and a coffee table. The pretty little kitchen is fitted for self-caterings and the intimate bathroom enhances relaxation (lavatory, bathtub and shower fixture). Appartment located close to the main business areas and surrounded by main Government offices and ministries, near Hotel Marriott and Romanian Parliament, this studio-appartment provides a perfect central view upon Bucharest. Around this location, there are important banks, nightclubs, Fast Foods, bars, DVD Rent Store or other fashionable shopping-outs.